We’re excited to announce that on Feb. 1, MeTV will join TDS TV’s lineup in the Tennessee communities of La Vergne and Mt. Juliet on channel 27. Home to some of television’s most-beloved shows, MeTV proudly airs classics such as Rawhide, Gunsmoke, I Love Lucy, Happy Days, M.A.S.H., The Rockford Files and the original Star Trek, to name a few. 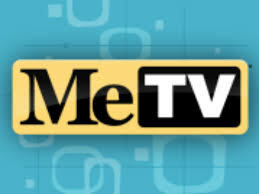 WKRN has made the made the decision to replace Nashville WX, WKRN’s local weather channel, with MeTV. Weather-related news can be found on TDS TV’s Weather app (channel 219/1219 HD), The Weather Channel (220) and the WeatherScan Local Network (221). We hope you enjoy the new channel and its classic programming.